From 4 to 40, this one machine could last a lifetime! 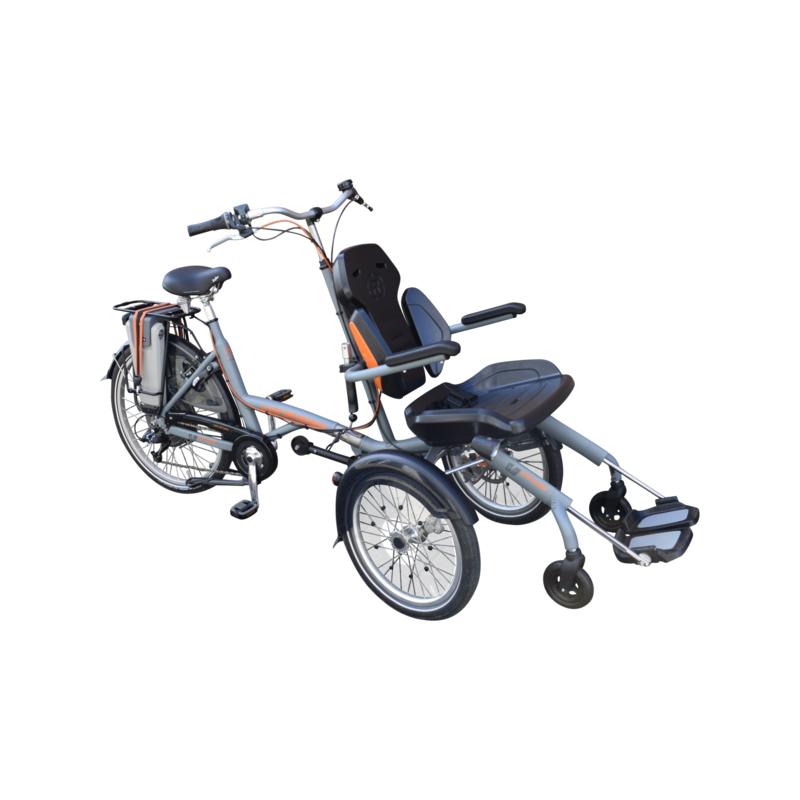 The O'Pair Wheelchair Bike is a special needs trike where the wheelchair user will be sat on the front enjoying a comfortable safe ride leaving the rider in control and pedalling to any destination. Should they need to stop for a break the wheelchair front detaches into a stylish yet functional temporary wheelchair! The O'Pair Wheelchair Bike has side panels pivot and adjust for neat, in-built support and with all the versatility it can offer the O'Pair is truly the "Families Favourite" special needs wheelchair bike. The O'Pairs new design offers improved steering and stability giving rider confidence. The O'pair Wheelchair Bike has a suspension wheelchair mounted on the front side of the wheelchair bike. The rider has a good view of and can watch over the passenger from behind. The front part of the wheelchair bike can easily be disconnected from the cycle part in the 'split frame' detachable variant so that it can be used as an independent wheelchair anywhere. The universal tub can be adjusted in many ways and optional be adjusted to the requirements for children. The Van Raam O'Pair wheelchair bike can be completely customised using various options to suit your needs. Also includes smartguard tyres, lap strap, adjustable lateral support, finger guards, spoke guards, arm rests & rear stabilizer wheel as standard.